Please don't wait to register. One-day camps are limited to first the 20 campers, 3 day camps are limited to the first 10 campers. The registration deadlines are one week prior to camp dates. All camps are open to students between 7-12th grade. Lillibridge Track is located at the USF Sports Complex at 69th Street and Cliff Avenue. Check in for all camps will be held at the northeast corner of the track, which is accessible from Charger Avenue via 69th Street (1/4 mile east of Cliff Avenue). Campers should bring workout clothes, water bottle, running shoes, spikes, pole vault poles and personal vault gear (USF does have a large selection of poles campers will be allowed to use). The University of Sioux Falls Lillibridge Track is a specifically designed, state of the art, track & field complex. It has nine lanes, two high jump areas, two discus cages, two shot rings, two javelin runways, four long jump pits, and four pole vault boxes. It is the largest track in the region. In 2011 the NCAA Division I Summit League Conference hosted their Conference Championship on this facility. The track surface is the same surfaced used at the United States Olympic Training Center in Chula Vista, CA. This is an outstanding facility for both training and competing and an excellent venue for our summer camps program. Opportunities to speak one-one-one with coaches to ask questions, etc. Doug Petersen is in his first season (fourth overall at USF) as Director of the University of Sioux Falls Track and Field/Cross Country Program. Peterson was named to the post on May 22, 2017 by USF Director of Athletics Josh Snyder following resignation of Reid Ehrisman. Peterson brings a strong pedigree to the director's position as he has had success with the USF Men's and Women's Cross Country Team over the past three years, serving as head coach of the cross country program beginning in February of 2016 and assisted with the distance student-athletes in track and field since 2014-15. 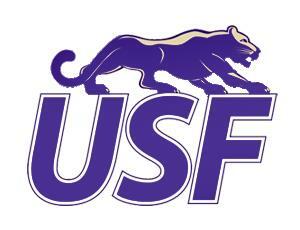 Before coming to USF, he had a Hall of Fame coaching career with Adrian High School in Minnesota. Beginning May 22, Petersen took over a track and field/cross country program that has had significant success in its five-year period in NCAA DII. Most recently, the USF Men's Track and Field team recorded program-best second place finishes at the NSIC Indoor and Outdoor Championships in 2017. The men's team had a program-best ninth place finish at the 2017 NCAA DII Championships. In NCAA DII, USF Track and Field/Cross Country has had four national individual champions, including three since 2015, at the NCAA DII level along with 36 All-Americans, 33 NSIC individual champions, three Elite 90 Award recipients, more than 100 All-NSIC honorees, and 239 Academic All-NSIC selections. While at USF, Petersen helped guide the 2014 USF Men's Cross Country team to runner-up finishes at the NSIC and Central Region championships and an eighth-place finish at the NCAA Championships and a No. 8 ranking in the final USTFCCCA rankings, the highest national finish and ranking in program history. In that 2014 season, Billy Brockmueller and Matthew Horan both earned All-America honors for cross country while Bobby Brockmueller won the school's first NSIC individual title. In addition, Peterson directed the men's team to a third straight NSIC second place finish in 2015 while the women's team jumped from 10th to 7th. A year ago, the Cougars men's team finished seventh and the women's team continued its progress with an eighth place finish. The program has been successful in the classroom with Billy Brockmueller earning the Elite 89 Award and being named USF's first-ever NCAA Postgraduate Scholar. Since 2014, 33 student-athletes (18 men, 15 women) in cross country have been named Academic All-NSIC (67 Academic All-NSIC honorees since in DII era). Along with his work with the USF Cross Country team, Petersen assisted the men's distance medley relay team of Bobby Brockmueller, Billy Brockmueller, Jase Kraft, Taylor Wensmann and Trey Fergeson to an eighth-place finish at the 2015 NCAA Indoor Track & Field Championships, breaking the school record and earning the first track All-American finish for USF in their Division II era. He has coached three student-athletes who have won four running titles in NSIC Championship competition. They include two-time NSIC indoor mile champion Jase Kraft, 800 meter titlist Mason Phillips, and 10K champion Steve Brown. During his tenure, two USF student-athletes have been named NSIC Newcomer of the Year, including Kraft in 2015 and Zach Lundberg this spring. Under his watch, five student-athletes have broken records including Billy Beseman, indoor 1,000 meters; Kraft, indoor mile and outdoor 1,500 meters; Phillips, indoor and outdoor 800 meters (indoor mark broken by Kraft in 2017); and Brown, 10,000-meters. Prior to joining the USF staff, Petersen put together a Minnesota Cross Country Hall of Fame coaching career at Adrian High School Cross Country from 1986-2008. Inducted into the Hall of Fame in 2014, Petersen also coached the Adrian girls track and field from 1975-2012 and boys track and field from 1986-2012. As the cross country coach, Petersen led the Adrian girls team to four consecutive Minnesota Class a State Championships from 2005-2008, a Minnesota record. Over the same time frame, Petersen recorded four straight top-eight finishes with the boys team, including runner-up in 2007 and third place in 2006. Individually, Petersen molded two individual state champions, a total of 15 All-State performers, and 10 conference championship teams. On the track, Petersen developed 13 boys and girls individual state champions and 10 girls relay state championship teams. He led the girls team to three Tri-County Conference championships and two runner-up finishes in the Red Rock Conference. Petersen led the Adrian boys squad to a pair of runner-up Tri-County Conference finishes. He coached 71 conference champions and nearly 100 All-Conference athletes during his time at Adrian. Doug and his wife Terri live in Sioux Falls, S.D. and have six children and 10 grandchildren.